(As published). 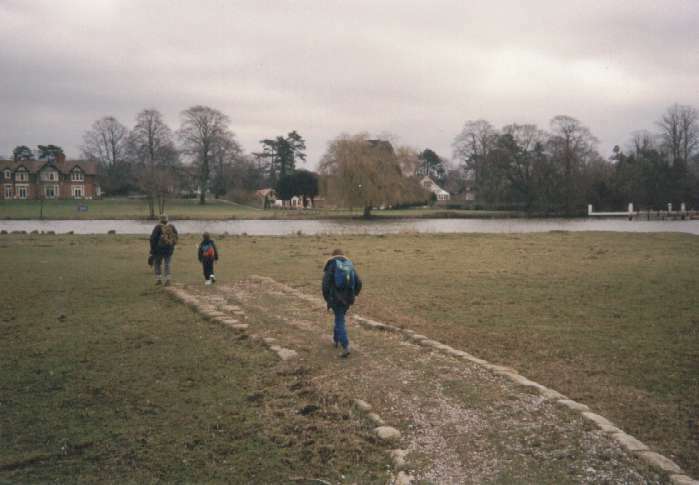 This is where it started - the causeway leading to the Thames at Streatley. As usual, Big John has already taken the lead. 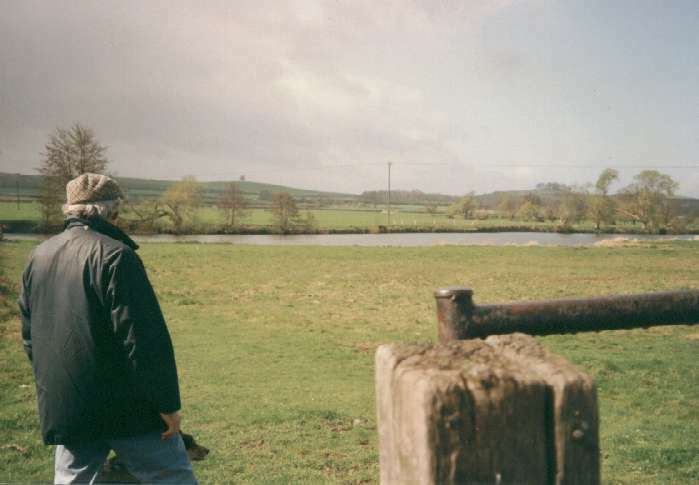 Big John eyeing the weather before crossing the field to join the Thames just upstream from Shillingford. 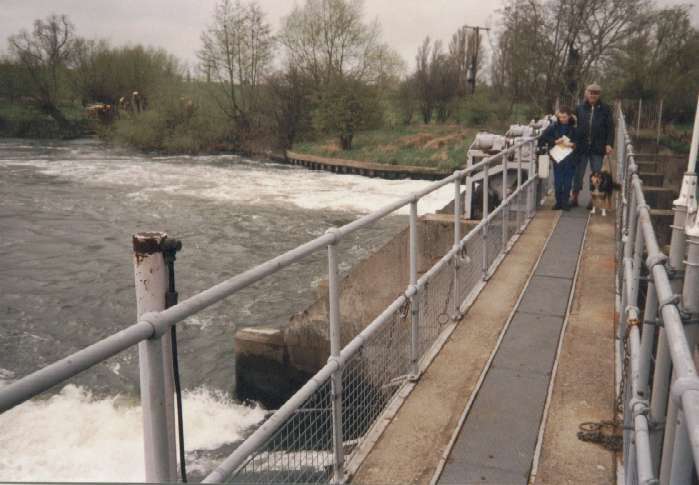 The footbridge over the weir at Day's Lock. 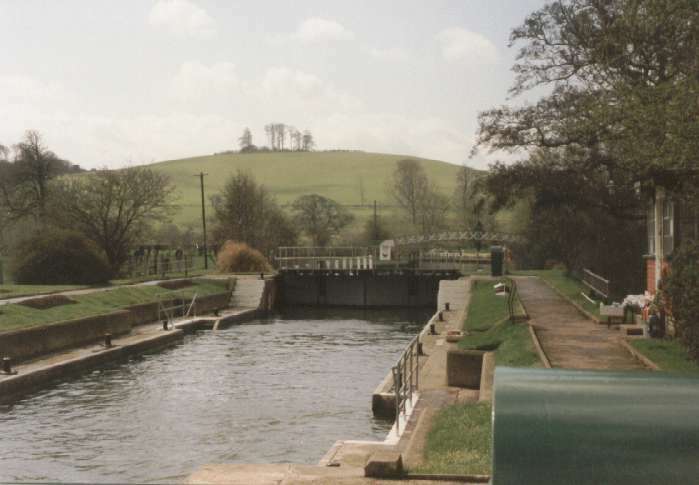 Looking downstream back towards Day's Lock, with one of the twin hills of Wittenham in the background. 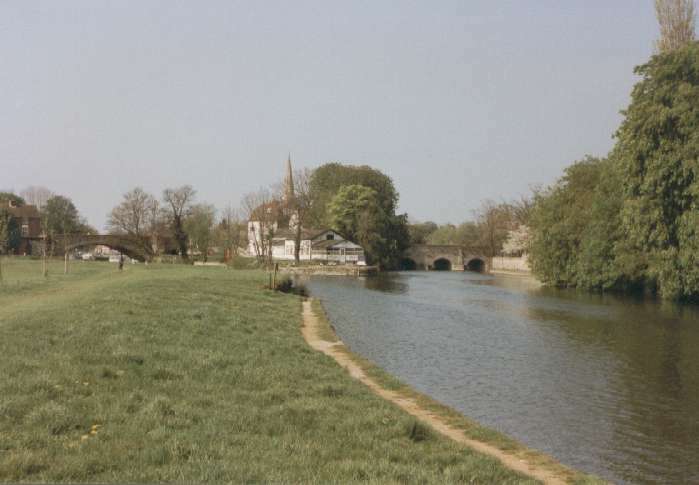 Looking upstream towards Newbridge, with the gardens of the Rose Revived on the right bank. (As published). 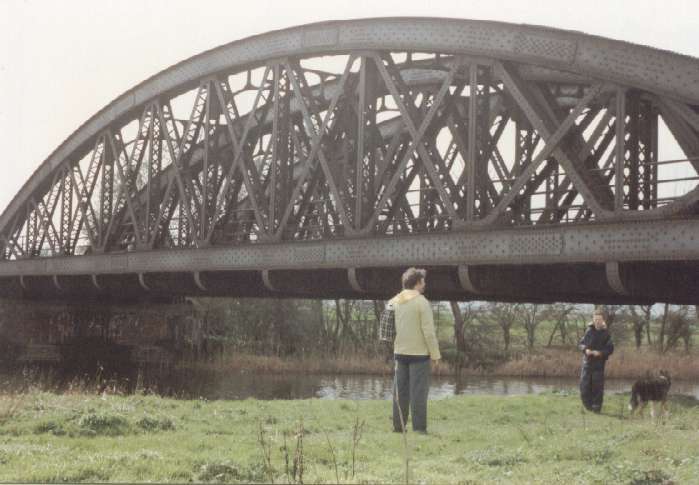 Appleford railway bridge - a collection of chucked cherries held together with iron strips, paint and rust. 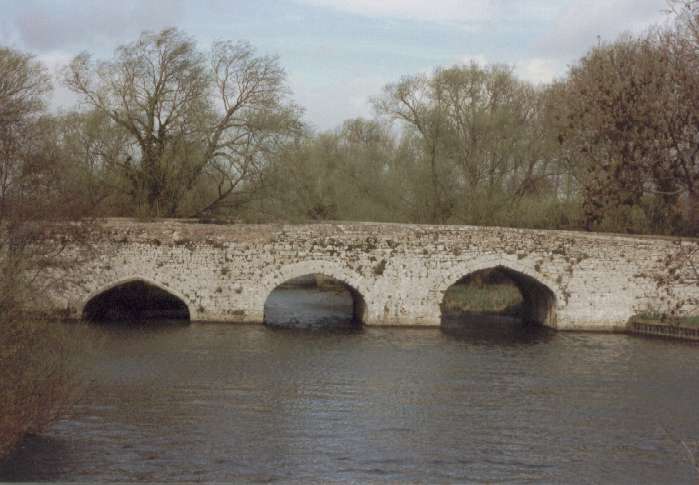 The old road bridge across Swift Ditch to the east of Abingdon. 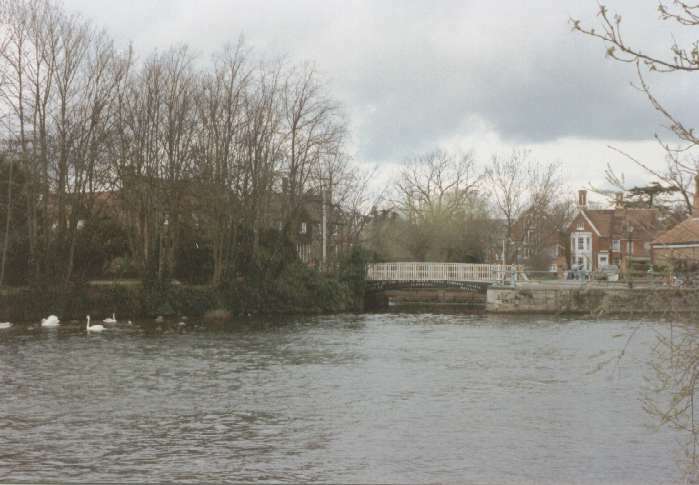 Ock Bridge, Abingdon, built at the expense of the Wiltshire and Berkshire Canal Company. Almost there! 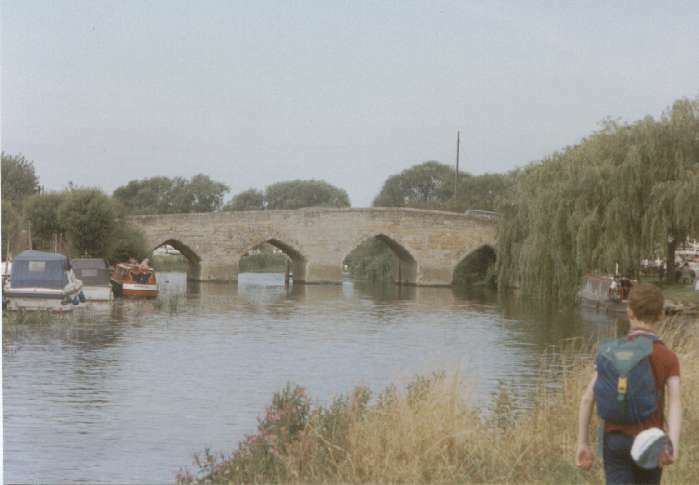 Nearing the car-park adjacent to Abingdon bridge at the end of a tiring day's struggle. 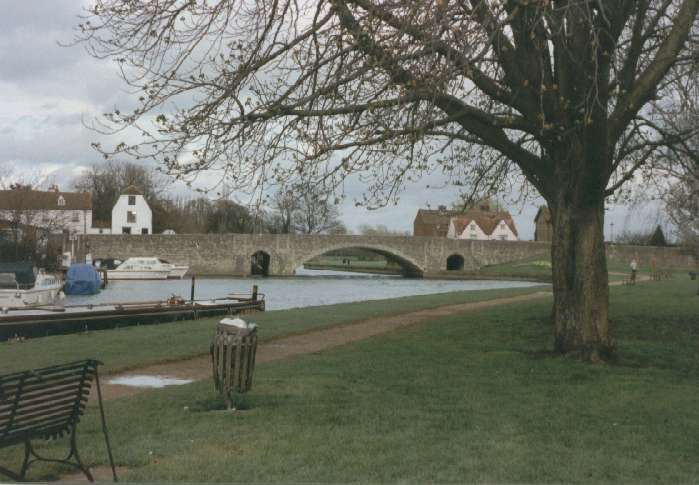 And, on a much nicer day a few weeks later, now looking downstream to Abingdon Bridge. 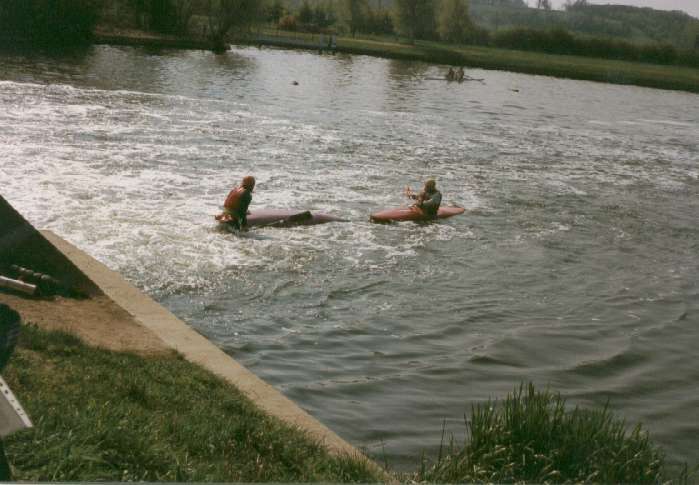 Canoeists practising capsizing and getting wet in the outfall from Abingdon weir. 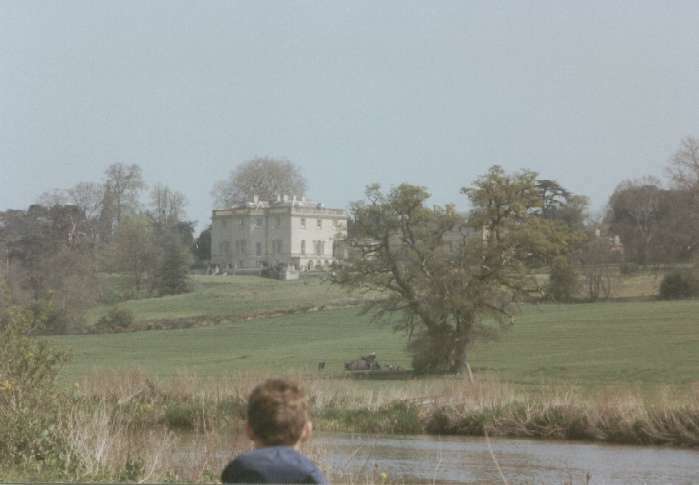 Nuneham Park, with deceased dinosaur in the foreground.